Conference Realignment for Pac 12: The conference of course added both Utah and Colorado to form the 12-team, two-division conference it is now. There were of course the rumors that the conference might add Texas or Oklahoma back when it looked like the Big 12 was going to be finished. Everybody is talking about super-conferences and the Pac 12 could add four more Western teams to form a 16 team super conference. 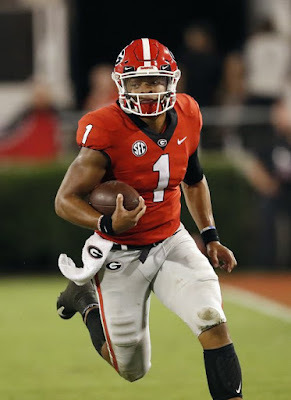 The reason the SEC has dominated the college football landscape is because of they play psychical defense, run the ball, have great offensive lines and don't turn the ball over much. Stanford is built exactly like a SEC team. Sophomore QB Kevin Hogan returns to lead an improving offense and the Cardinal might have the best defense in the whole nation. They have two great ends in Henry Anderson and Ben Gardner, a linebacker group that includes two All-American talents in Trent Murphy and Shayne Skov and a great defensive back in junior safety Ed Reynolds. Stanford's schedule isn't easy but if they win the Pac 12 a national championship appearance is a real possibility. Even with Mark Helfrich taking over things won't change much in Eugene. The offense, led by sophomore QB Marcus Mariota and junior speedster De'Anthony Thomas, should put up a ton points, the defense should be solid and the Ducks should fight for a Pac 12 crown. Oregon averaged nearly 50 points a game last year so there isn't a ton of pressure on this defense but they must replace Dion Jordan and Kiko Alonso. If junior linebacker/end hybrid Tony Washington turns out to be the next Jordan and Ifo Ekpre-Olomu plays to his potential a championship is a real possibility for the Ducks. The Beavers surprised a lot people last year when they won 9 games a year after a 3-9 mark that included a loss to FCS Sacremento State. Both Sean Mannion and Cody Vaz return at quarterback as both will fight for the job. Both performed well last year but it appears the junior Mannion may have a slight edge. With a deep backfield that includes Storm Woods and Terron Ward and one of the conference's best receivers in Brandin Cooks, whoever starts should be surronded by playmakers. Both defensive end Scott Crichton and cornerback Rashaad Reynolds are All Pac 12 performers. The Beavers don't have as much star power as Stanford and Oregon but a smart offense and an easy non-conference slate should keep them as contenders in the North. Washington has been one of the most confusing teams in the nation the last couple years. The last few years the Huskies have had the talent to make a breakthrough in the North but have had three straight 7-6 seasons. The offense is talented once more with the return of senior quarterback Keith Price, junior back Bishop Sankey and tight end Austin Seferian-Jenkins. But, the offensive line was atrocious last season and will take a lot of work and the defense has allowed more points than the Huskies have scored in the Steve Sarkisian era. Mike Leach's first year in Pullman was just painful to watch as the Cougars struggled to adjust to Leach's air raid offense and seemed to quit at times. Respectability seems a mile away but the Cougars should improve this year with the return of junior quarterback Conner Halliday returning to run the offense. Sophomore back Teondray Caldwell can make plays and Brett Bartolone gives Halliday a proven option at receiver. At times last year, WSU's defense looked great but throughout most of it, the D struggled. Senior safeties Casey Locker and Deone Bucannon lead the experienced and improving defense. The Cougars have the tools to run Leach's offense and they are more experienced meaning slight improvement in wins. The Golden Bears welcome in a new coach and a new approach in Sonny Dykes who comes over from Louisiana Tech. Dykes' Louisiana Tech team was the nation's leader in total offense and his new, up-tempo offense should eventually attract recruits, wins and new fans. Expect growing pains in 2013 though as Dykes will have to find a new quarterback and players that fit his system. 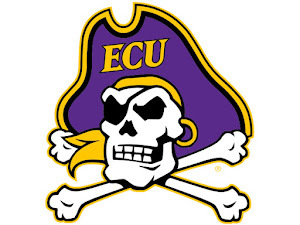 Redshirt freshman Zach Kline has the edge at QB and has some proven targets to throw too including sophomore Bryce Treggs and senior Jackson Bouza. Cal has a brutal schedule inside the Pac 12 and out, meaning an improvement from last season's 3-9 mark may just not happen. Jim Mora made an immediate impact in Los Angeles, as the Bruins won 9 games and the Pac 12 South Division. Sophomore quarterback Brett Hundley returns after an impressive first year running the Bruins' offense. The defense should also be solid with the return of linebackers Anthony Barr (13.5 sacks in 2012) and Eric Kendricks. If the Bruins can find a replacement for running back Johnathan Franklin who ran all over defenses last year, recording 1,734 yards last season. Excitement is high in Tucson after the Wildcats won 8 games and a bowl in the first year in the Rich Rodriguez era. Junior back Ka'Deem Carey returns after leading FBS in rushing last year with 1,929 yards. Carey has Heisman potential but he had an interesting off season that could effect his play on the field. Even if Carey runs for nearly 2,000 yards this year if 'Zona can't find a QB they won't be able to contend in the Pac 12. Senior B.J. Denker has to be considered the favorite in the QB competition but Louisiana Tech transfer Nick Isham could also fight for the job. If they do find a quarterback, a double-digit win total is a real possibility. The other Arizona school is also riding a wave of momentum. The Sun Devils went 8-5 and dominated Navy in the Kraft Fight Hunger Bowl. Junior Taylor Kelly returns after a strong first year as starter in which he threw for 3,039 yards and 29 touchdowns. The backfield is deep and talented with the returns of a lot of impact backs including sophomore D.J. Foster, senior Chris Coyle and senior Marion Grice. Like a lot of schools in this pass happy league the offense should put up a lot of points but a successful season hinges on their defense. Luckily for the Sun Devils senior nose tackle skipped on the NFL for one more year after picking up 13 sacks in 2012. To call last year a disappointment for the Trojans is a huge understatement and the pressure is one for Lane Kiffin to win right now in Los Angeles. 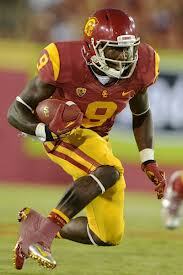 He returns one of the nation's best talents in wide receiver Marqise Lee, who is a real Heisman threat. The Trojans might have Lee, the nation's best receiver, but they must find someone to get him the ball now that Matt Barkley is off to the NFL. Sophomore Max Wittek started in Barkley's place last season but the position is still wide open. Cody Kessler and freshman Max Browne should also fight for the job. The defense is talented with the return of defensive linemen Leonard Williams and Morgan Breslin and Dion Bailey, who should move from linebacker to safety this year. The Trojans are just as talented as the year before but that didn't really work out and the QB remains a gigantic question mark. The Utes first two seasons in the Pac 12 have fell way short. After going 33-6 the three seasons before the move, Utah has struggled to an 8-5 record in '11 and a 5-7 mark last season. Sophomore QB Travis Wilson returns and has the tools to be one of the conference's best quarterbacks. Though the line protecting him is very inexperienced and weak there are no proven playmakers for him on the offensive end. Junior Nate Orchard and senior end Trevor Reilly return to lead the defense but it has some holes in it. Utah should improve but the Utes are clearly not what they were a few years ago. New coach Mike MacIntyre comes in from San Jose State hoping to improve a team that went 1-11 last year. The Buffs have a solid core with the return of junior quarterback Connor Wood and junior wide receiver Paul Richardson. MacIntyre should improve the offense but it was absolutely terrible throughout 2012 and it will take some work. It isn't like the defense was good either meaning a bowl game seems a while away for Colorado.